Marinade the minced beef with all ‘The Minced Beef’ ingredients, mixing together well. Pour the garlic oil into the rice cooker and switch the rice cooker on. Once the oil is hot, pour the rice into the rice cooker along with the salt and sugar, siring through with wooden spoon. Close the lid and allow to cook, according to your rice cooker’s instructions. 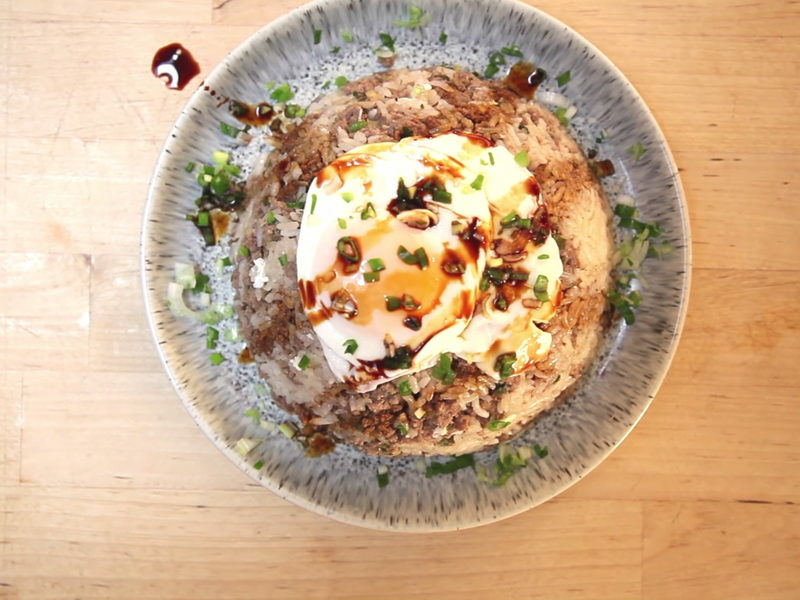 Once the rice cooker has finished cooking, open the lid once more and crack the egg into the middle of the meat, then close the lid one last time and allow the dish to sit in the steam of the rice for 3 minutes, softly cooking the egg. Serve with Lee Kum Kee Sweet Soy sauce on the side to pour over the rice.